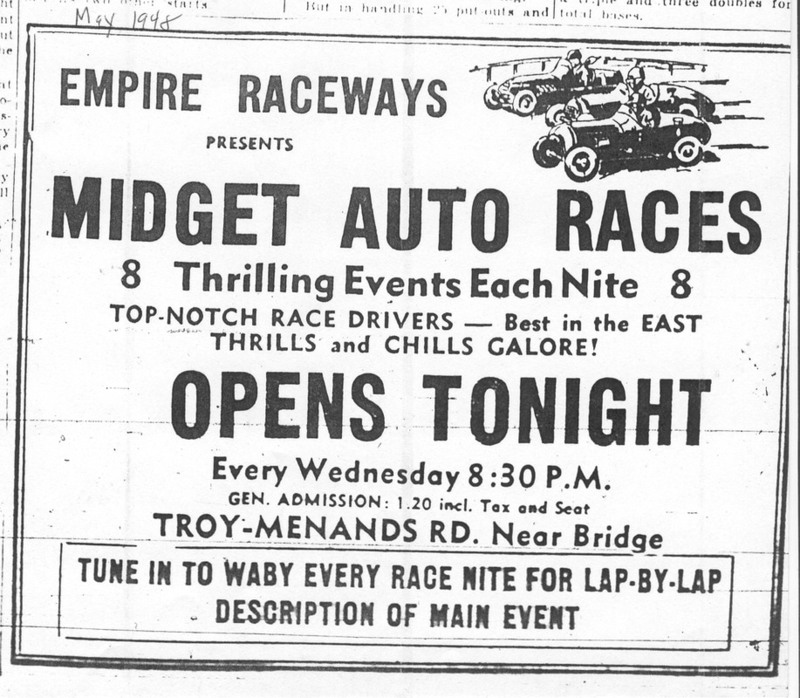 Menands Raceway was a 1/4 mile paved oval track, The track was also known as Empire Raceways, The track opened on the 12th of June 1947 and closed on the 2nd of September 1963. 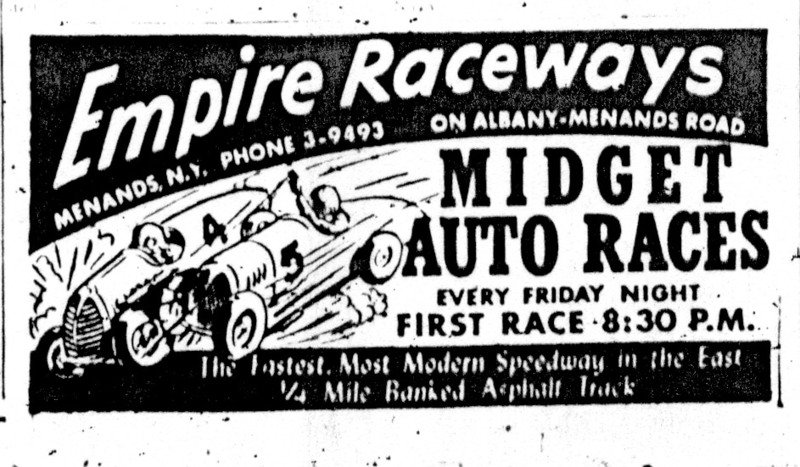 2 of the stars from the era at Menands Pete Corey wearing the helmet and Rene Charland. Photo: unknown.